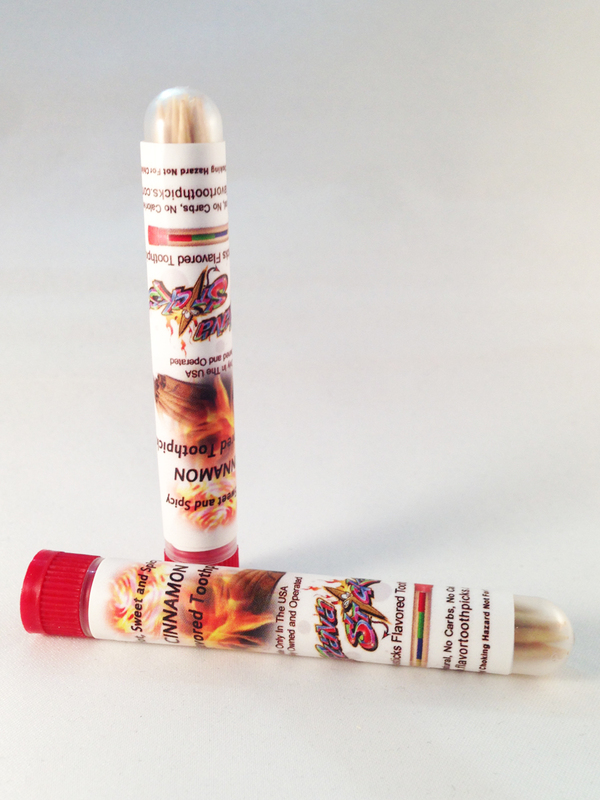 Try our 2 Pack Cinnamon Tubes of Extreme Mouth Watering Flavored Toothpicks Today. 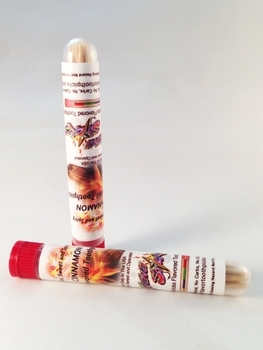 Each tube contains 12 toothpicks and (2) Tubes Shipped with Each Order. Each tube is air tight sealed medical grade plastic for long lasting storage and easy shipping. These tasty wood chewing sticks aren't your plain, run-of-the-mill toothpicks. These picks are full of flavor! They're made of quality birch wood sustainably harvested from planted birch trees, and amply absorbed with essential oils and flavorings. 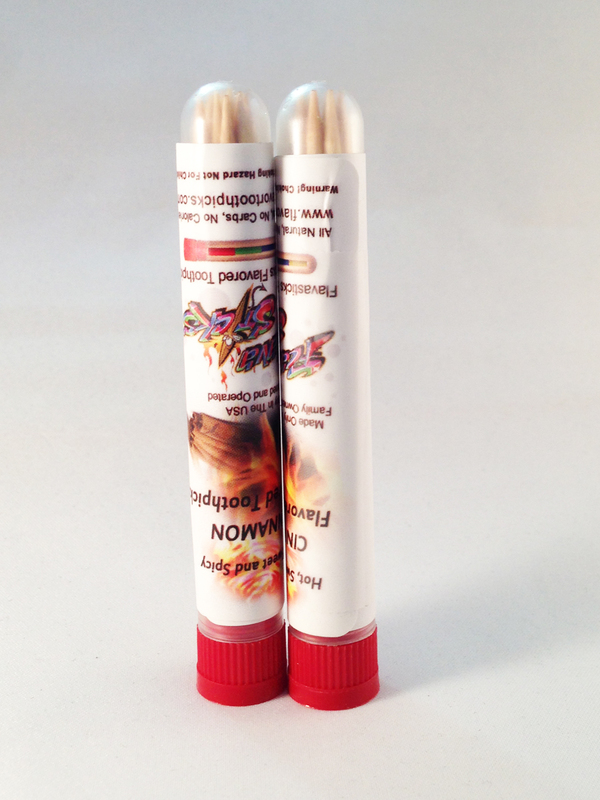 (2) Reusable medical grade tubes to lock in the flavor. Combine our handy 100 count bulk bags for easy refill!